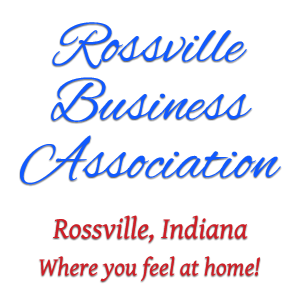 The Rossville Business Association would like to take this opportunity to invite you to join the Association to serve your community and make Rossville a better place to live and work. Anyone can participate in the Association regardless of whether you have a business or not and just want to become involved in promoting the Town of Rossville. One of our biggest projects is the annual Summer’s End Festival. The Association also sponsors a soccer team in the Rossville Fall Soccer League and a baseball team in Rossville Baseball League. Each year two scholarships are presented to graduating seniors at the Rossville High School furthering their education in the business field. Monetary support is also given to the Rossville Food Pantry, Milner Health Care Christmas Fund for residents, the Rossville Town Park, and COACH Kids of Clinton County. If you are a business or individual located in the within the Rossville School District and would like to become a member of the Rossville Business Association, please fill out the Attached Form. The Association meet at 12:00 p.m. on the third Tuesday of each month at the Milner Community Health Care Activity Center. There is no charge for the lunch as members take turns providing a meal. Each month you will receive a meeting reminder via email. If you are not able to attend the monthly meetings, minutes from the meeting will also sent via email. Members of the Business Association have the opportunity to advertise on the Town of Rossville web page. The start-up fee for each business is $35.00. After the first year, the cost is $5.00 per business to maintain your spot on the web page. Please indicate on the Attached Form if you would like to initiate advertising and include this fee with your membership dues.